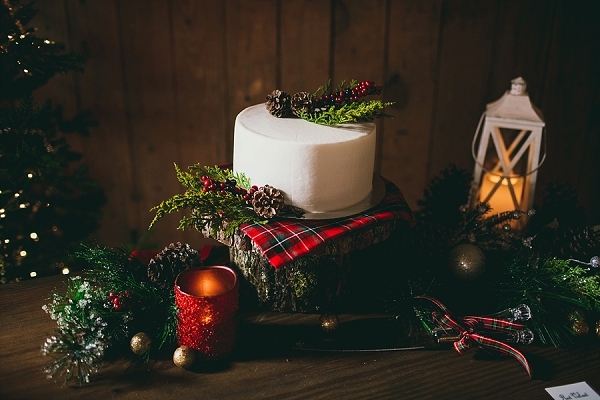 'Tis the season to celebrate all things red, green, and festive, and this beautiful holiday-themed fête photographed by Sarah D'Ambra Photography fits the bill magically! 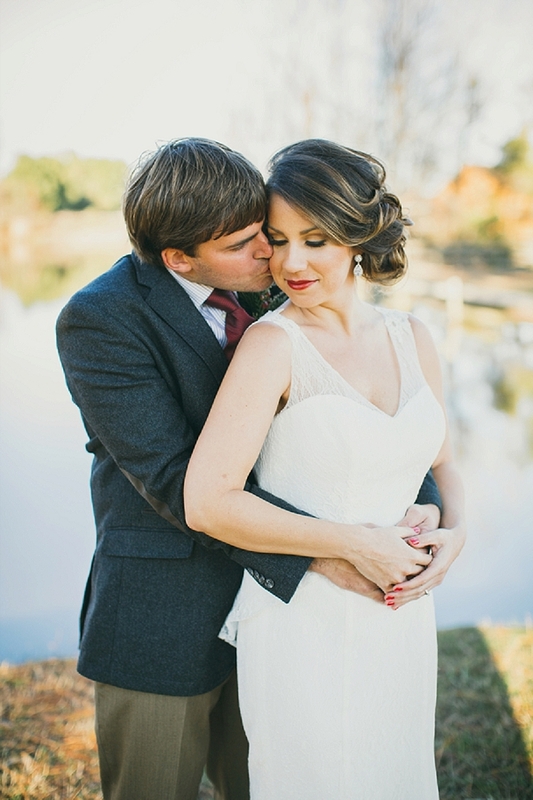 Ashton and Tricia's first date was a bike ride to Edenton's classic Taylor Theatre in North Carolina, and the rest is history. 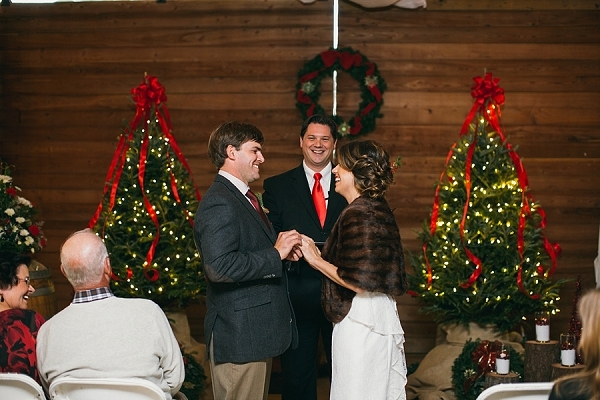 After welcoming a son together and growing in their love each day through their careers as farmer and teacher, they chose to celebrate their wedding during their respective winter breaks right at Christmastime. 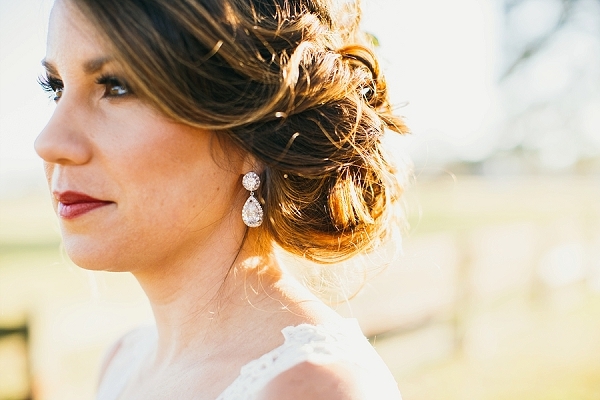 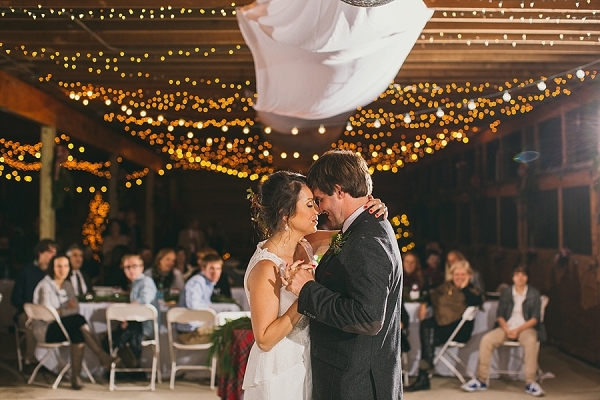 Their vision of a romantic rustic theme was executed with style thanks to the backdrop of the Jubilant Fields Equestrian Center, a venue whose history is rooted deeply in Ashton's family. 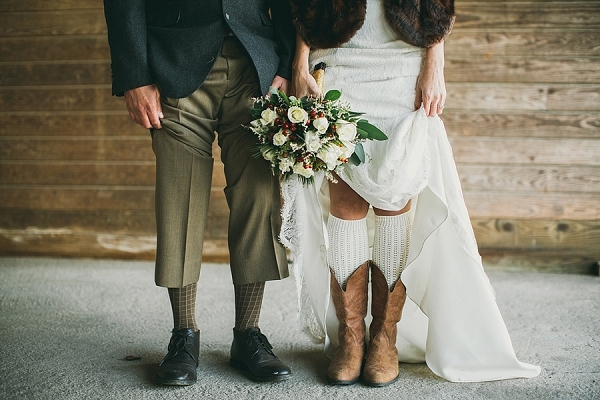 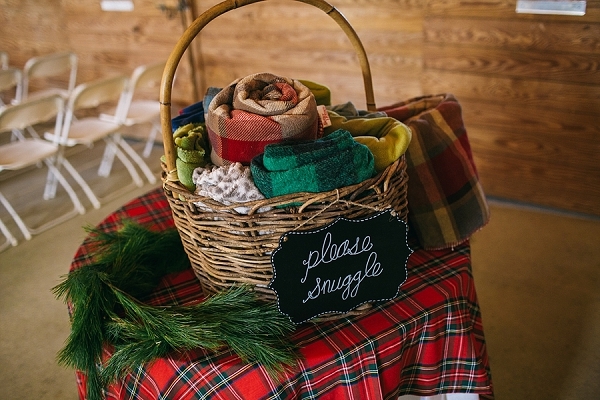 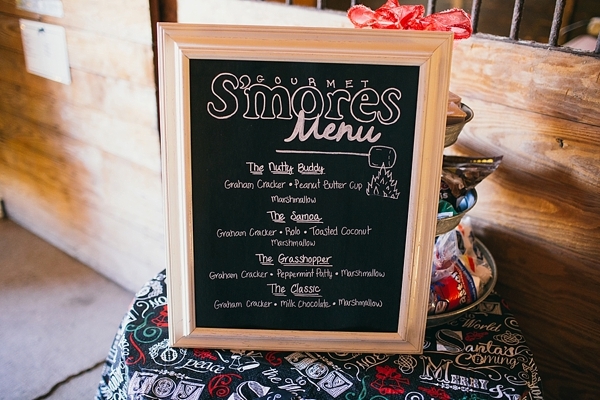 A winter wedding made for a warm and cozy ceremony – blankets were provided to snuggle up on a cold day and a full hot chocolate bar and a gourmet s'mores menu at the reception ensured guests would be treated to a heartwarming snack. 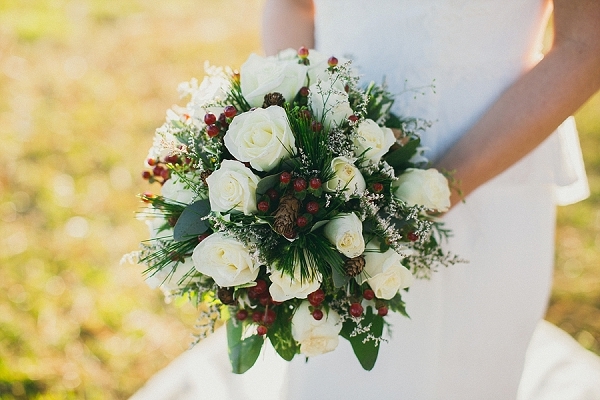 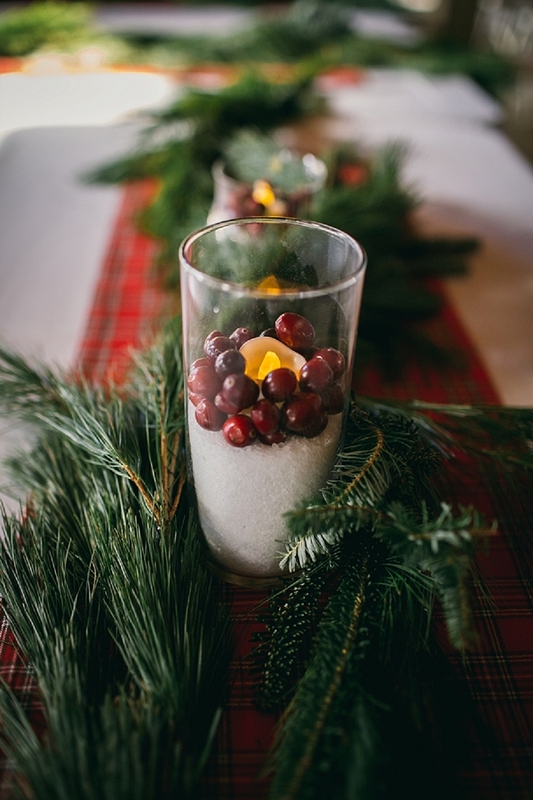 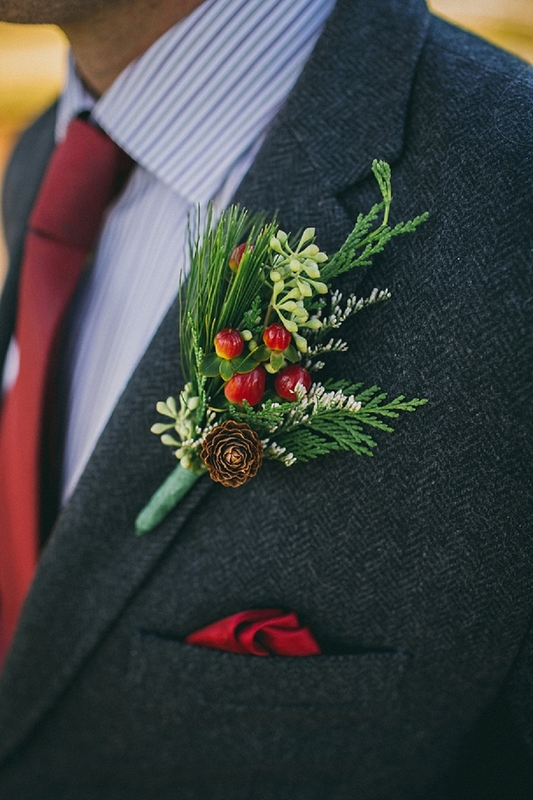 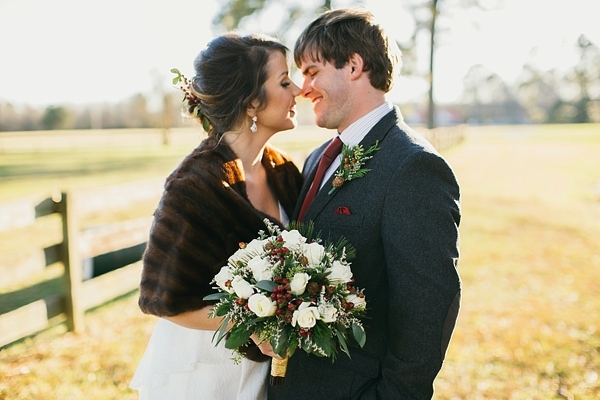 Pinecones and evergreen sprigs adorned red and green plaid runners, and Tricia's bouquet with accents amidst an all-white array of flowers spoke to the festivity of the season. 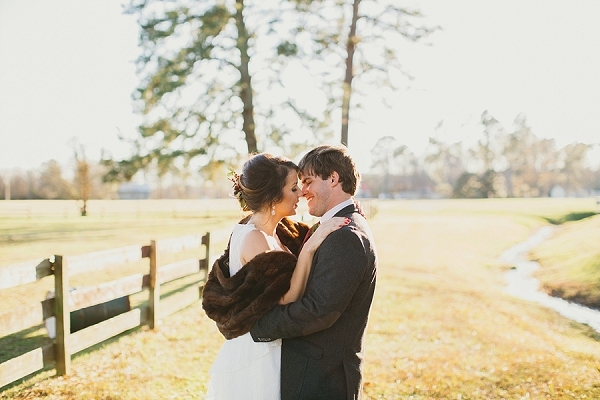 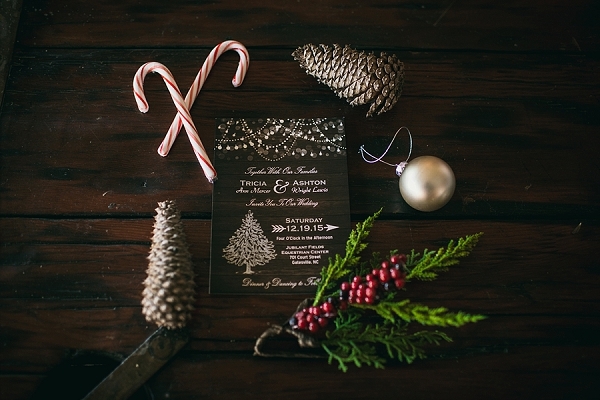 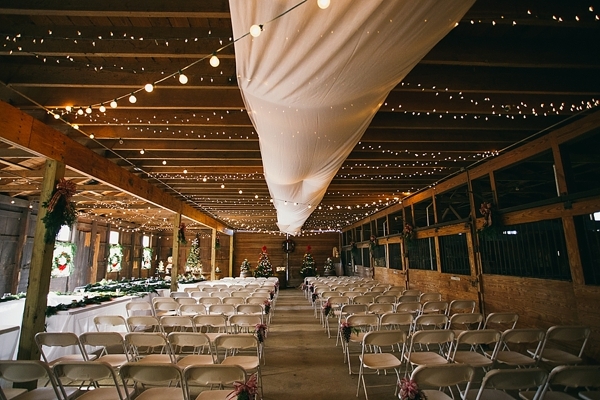 From personalized Christmas ornaments to romantic twinkling lights covering the ceiling of a simple but stunning horse stable to the bride's dark brown fur stole and delicate peplum gown detail, Tricia and Ashton's day couldn't have been more perfect both for them and all brides looking for holiday wedding inspiration that is truly unforgettable in the spirit of the season.